And it is hot. I just got home, and the air wasn't working in my car, and we don't have an air conditioner in our new house yet. 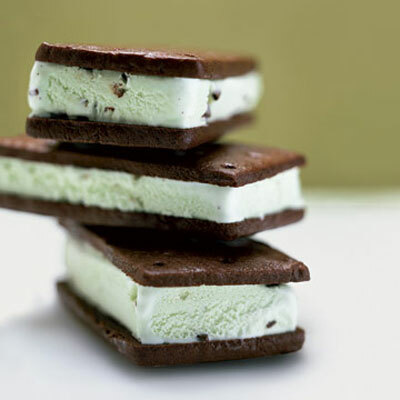 I could really use an ice cream sandwich right about now. Maybe two. Or three, who's counting? YUM ... that looks just about perfect ... hope it cools down for you! These look refreshing! Yum. Sorry to hear about your AC trouble. Thanks for visiting Gathering Spriggs and your sweet comment. You have a very beautiful blog and love how the style and colors all meld so well.